While this concentration includes a focus on traditional British and American literature, the degree is flexible enough to allow students to explore a wide range of literary studies, including Mexican American Literature, African American Literature Postcolonial Literature and Gay/Lesbian Literature. Each year the Gentile Fellowship is awarded to a continuing student in recognition of an excellent literary critical essay completed for a course in the major. The Linguistics Concentration comprises a regular rotation of courses providing a general introduction to the field of linguistics as well as more specialized studies in the history of English, English syntax, and sociolinguistics. Also offered from time to time are courses in English morphology, American dialects, and applied linguistics. Each year an award is given for Outstanding Undergraduate Student in Linguistics. 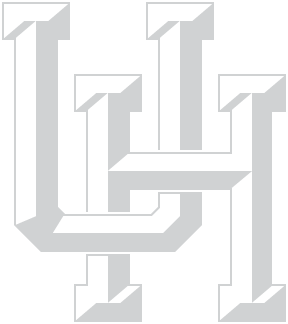 The UH Graduate Creative Writing Program currently ranks number two among such programs nationwide. Nationally and internationally known writers are among the permanent and visiting Creative Writing faculty. Undergraduates benefit tremendously from this distinguished program and writing center. The Department hosts various readings by prominent writers each semester, including the distinguished Margaret Root Brown Houston Reading Series. Two awards are given each year to undergraduate Creative Writing students: the Sylvan N. Karchmer Fiction Prize and the Howard Moss Poetry Prize. A minor in English consists of 15 semester hours of English above the 1000 level with at least 12 at the 3000 and 4000 level. At least nine of the advanced semester hours must be completed in residence. A 2.00 minimum grade point average is required in all courses attempted at the university in the minor field excluding the required freshman courses. Courses to be applied to the minor must be approved by the Department.